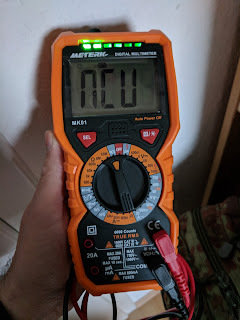 Including measuring up to 20 A (yay!) and temperature sensor besides touchless wire check, diode check, frequency measuring and so much more. Heck, even a flashlight is integrated. Most needed: Checking connectivity of wires and boards. You'll really need that if you deal with retro-stuff :).